Come summers and you need something delicious and something that would give you that cool-refreshing feeling that shall help you beat the heat.. How about Ice-cream? Drooling, aren't you? Don't own an ice-cream maker? No worries. Even I don't. 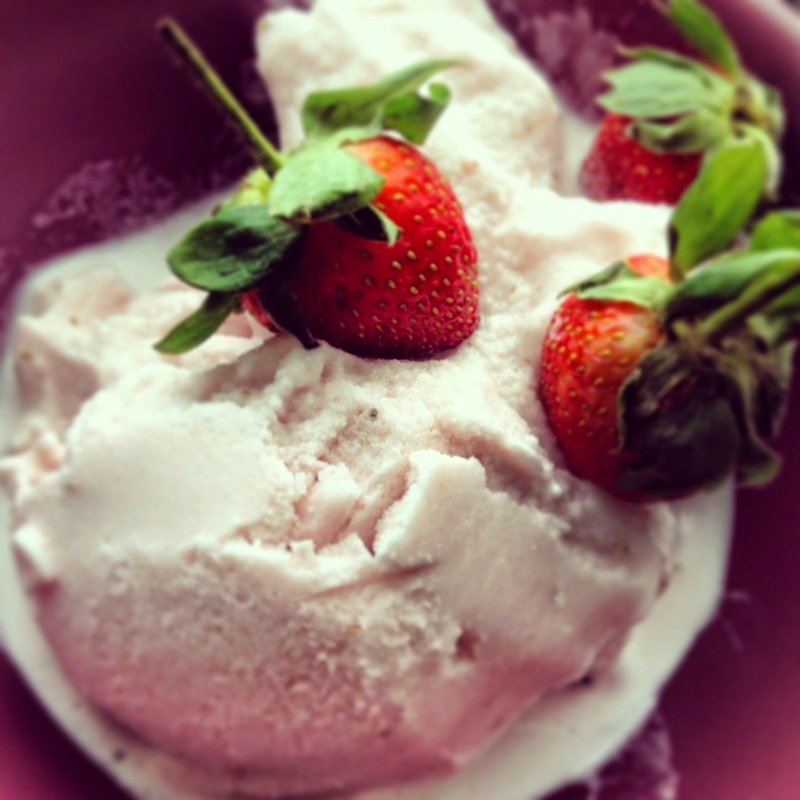 And EVERYDAY I see fresh strawberries being sold in the market and so I decided to make strawberry ice-cream. This recipe was so easy it did not require any big equipment, just a simple kitchen mixer, and an air-tight box !! And it came out so amazing we finished it off instantly..